New Zealand Rugby has pledged its support for Western Australian billionaire Andrew Forrest's new Asia Pacific competition – a move which may see Auckland stage two 'home' matches for a Samoan side – but not everyone is on board with the decision to back the rebel league. Concerns are understood to be held within the wider Auckland region about the threat Forrest's competition, dubbed Global Rapid Rugby (GRR), poses in the already challenging market of securing and retaining New Zealand players, sponsors and supporters. In an email, obtained by the Herald, to all Super Rugby and provincial union chief executives, head of tournaments and competitions, Cameron Good, explains NZR has signed a memorandum of understanding with Rugby Australia to support Forrest's venture. The NZR email also syndicates a Global Rapid Rugby proposal, with former Force captain Matt Hodgson listed as the point of contact, that could see players, commercial and coaching resources shared between respective, interested teams. "We have received an approach from GRR asking whether there would be interest in New Zealand Super Rugby clubs or Mitre 10 Cup provincial unions forming partnerships with the new teams that are joining GRR," Good writes. "We asked GRR to put this proposal in writing (see attached) and agreed to put this in front of the 19 organisations hence this email." Global Rapid Rugby will be based out of and run by the Hong Kong Rugby Union. It has been rebranded after a series of trial matches involving Forrest's Force under the World Series Rugby banner this year and is scheduled to launch in February, 2019, after gaining sanction from World Rugby. Uncertainty over final details prevails some two months out from kickoff but eight teams are due to contest the inaugural season: Fiji, Samoa, Japan's Panasonic, Malaysia, Singapore, Hong Kong, the Force, and a side backed by a private consortium from a country yet to be announced. One South African team may be added and the GRR proposal lists Hawaii, Sri Lanka, Philippines, India and China as 'expansion teams'. The Herald understands NZR may stage two home matches for the Samoan side in Auckland. The Samoan bid involves Richard Fale, the Tongan-born politician who failed to buy the Warriors. Fale is also the face of the Hawaii-based consortium that attempted to join Super Rugby. It is likely the Samoan team will, therefore, play some home matches in Honolulu. NZR's position is believed to be there is no point fighting this new competition which is scheduled to feature 14 rounds, 56 games of 70 minutes and rouge rules such as not kicking out on the full. There is also thought that GRR could be a possible fallback option, should South Africa pull out of Sanzaar and head north at any point in the future. With Forest worth around 4.5b and pledging $50m to the new tournament, including $1m for the inaugural winner, NZR is believed to see potential in the opportunity to have a tier of players paid by someone else. Former All Blacks and Hurricanes lock Jeremy Thrush is the sole 'marquee' signing at present but five players from Otago have also been snapped up. "A player contracted from Mitre Cup can be placed into a Global Rapid Rugby team for a short term or the full duration – from March to June. This would allow players associated with Mitre Cup teams to get professional rugby for a longer duration. "A player from Super Rugby can also benefit from Global Rapid Rugby. If a player is injured/returning from suspension and/or misses selection and requires game time Global Rapid Rugby would welcome players from the aligned Super Rugby team." 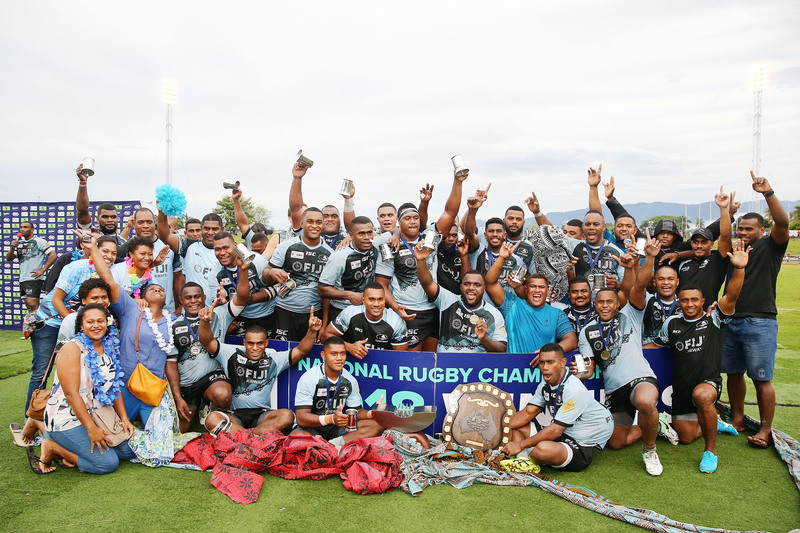 Having missed out yet again in their bid for a Super Rugby team due to financial constraints, GRR represents a major fillip for the Pacific Islands with up to 50 on-island based players set to gain short term professional contracts, building on the success of the Fiji Drua who won this year's Australian domestic competition. But when it comes to the wider Auckland region and the Blues, the scrap to retain emerging talent is already fierce. From overseas clubs to league scouts and other New Zealand Super Rugby teams, Auckland's natural talent pool has long been plundered. Another layer and another competitor are, therefore, not being welcomed by all. While reluctant to speak publicly, these concerns are understood to be shared by other New Zealand provincial and Super Rugby bases battling similar on-going challenges in the player, sponsor and crowd sectors. Once players leave it is harder to lure them back. GRR directly recruiting from New Zealand also has the potential to further deplete depth. This situation puts NZR in a delicate position after buying back a 40 per cent stake in the Blues, and with Auckland beginning a revival after claiming their first provincial title since 2007 this year.